You can be conned on eBay. 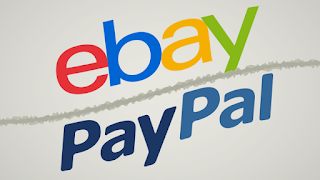 Con artists have found a way to trick the eBay sales monitoring system. A seller sets up an account and puts an item on sale. He/she displays a "ticker" that says 10 are sold out of 50. Of course, this is a lie. There are none for sale. The seller closely watches payments being made online. When he sees a transfer, the item is immediately withdrawn from sale. This item will not show up in the list of purchases on eBay. It will be in the PayPal list. However, PayPal will not give a refund if there is no record of sale on eBay. There is another reason why eBay and PayPal do not refund your money. The seller is long gone not only withdrawing the product from sale but closing down the account and abandoning the business email address. He cannot be traced. The ruse is repeated a few months later with the same item so it is easy to do. More and more eBay users are complaining about losing their cash. Yes, it is usually, about $50, but it is still a significant amount for a consumer. There is also the stress incurred in trying to get the money back and the frustration of finally realizing that it is a total loss. PayPal as well as eBay know the "book keeping" is faulty. Nothing is done to end the scam. Like data breaches, Internet companies try to hide what is going on believing that people will just accept it and forget the whole thing. Buy at your peril.